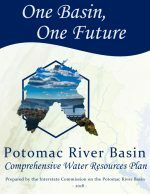 The Potomac Basin Comprehensive Water Resources Plan, adopted by the ICPRB Commissioners in June 2018, is the culmination of a multi-year, collaborative process that engaged diverse stakeholders. 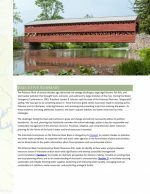 The plan describes a shared vision for the basin, identifies water resources issues of interstate and/or basin wide significance, and recommends actions for achieving the shared vision. It is a fifteen year plan that will be reviewed every five years to evaluate implementation progress and identify actions over the next five-year period. There is a role for everyone in the plan’s implementation. 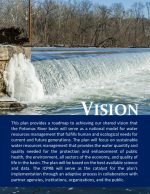 This plan provides a roadmap to achieving our shared vision that the Potomac river basin will serve as a national model for water resources management that fulfills human and ecological needs for current and future generations. 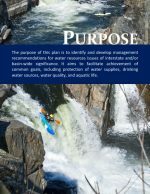 The plan will focus on sustainable water resources management that provides the water quantity and quality needed for the protection and enhancement of public health, the environment, all sectors of the economy, and quality of life in the basin. The plan will be based on the best available science and data. The ICPRB will serve as the catalyst for the plan’s implementation through an adaptive process in collaboration with partner agencies, institutions, organizations, and the public. 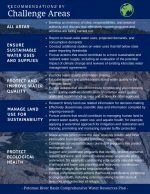 The purpose of this plan is to identify and develop management recommendations for water resources issues of interstate and/or basin-wide significance. 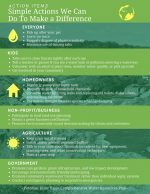 It aims to facilitate achievement of common goals, including protection of water supplies, drinking water sources, water quality, and aquatic life. Please note that the first document contains Appendices C and D but Appendices A and B are separate documents.